The DiagnOptiMesh project will conduct original research on the possibilities to diagnose and optimize the status of commercial wireless networks based on the WirelessHART standard. 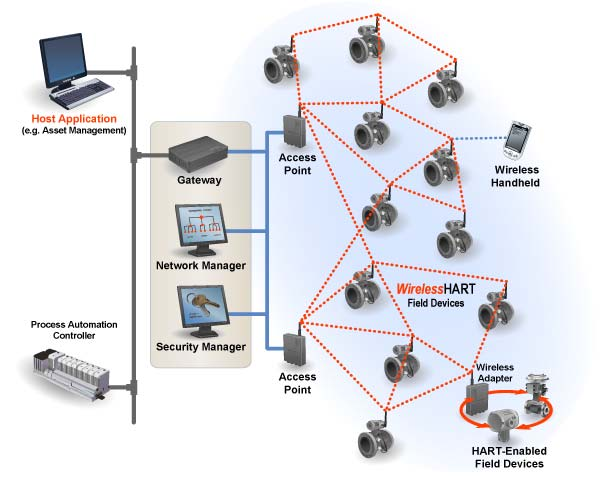 This will be the first attempt to establish network diagnosis and management for wireless field bus systems used in industrial automation that will collect diagnostic information and optimize the system behaviour accordingly. Research topics include identification of suitable network properties and methods to infer the status from these, as well as the assessment of influential communication parameters. After implementing the necessary protocol extension, and network analysis and management algorithms, the new technology will be evaluated in extensive field-tests. The result of the project will be a software based solution, but implementation in hardware is envisioned for the final product.